I’m on my way home today from a quick trip a third of the way around the world to use a telescope. Astronomers are, of necessity, vagabonds. Sometimes the thing that you want to look at in the sky is only viewable from the southern hemisphere, so down to Chile you go. Sometimes the thing is so faint that only the biggest telescopes around are worthwhile, so it’s off to Hawaii. What’s rare, though, is to spend 24 hours flying from Los Angeles all the way to the Canary Islands – a group of high volcanic crags off the coast of Africa with a latitude almost identical to that of southern California – to use a telescope smaller than the one that is just a three hour drive from my house. When, after a day of travel, I got to La Palma, the island whose highest peak is strewn with telescopes, and I stepped outside into the dark dark night sky, I was greeted with exactly the same sky that I see in Los Angeles. OK, there were many many more stars, but they were all in their right places, and nothing was there that I couldn’t have seen from home. So why spend all of that time to travel to a telescope smaller than my local one when all of the same sights were visible? Because when it was night time in the Canary Islands the sun was still high overhead in southern California. And the thing I was hoping to see only happened right then. If I had stayed home and waited eight hours to look later I would have seen nothing. 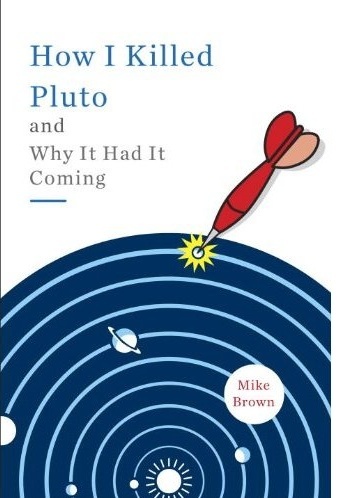 Here is what I hoped to see: that night the funny oblong fast spinning dwarf planet Haumea was passing directly in front of one of its satellites (Namaka is its name). If I could determine precisely when it happened and how long it lasted I could learn many things about Haumea (its size and crazy shape, maybe also its interior structure) and also about Namaka (how big it is, how much it is being tugged around by the other satellite, Hi’iaka). But all of this was happening so far away that the only way I could tell when Namaka disappeared behind Haumea was that the total amount of light coming from Haumea should dip by about 1%, So at the telescope I spent two entire nights doing nothing but staring at Haumea and measuring precisely how bright it was every two minutes. For comparison, I also checked a couple of stars nearby at the same time. If they stayed steady while Haumea dipped in brightness I would know I was in business. In reality, though, stars never stay the same all night long. They get brighter as they get higher in the sky and fainter as they drop. Even on the clearest nights they fluctuate due to changing atmospheric conditions. Seeing this tiny drop in brightness of Haumea in the face of all of this intrinsic variability is a tough task. After two nights at the telescope I am leaving with my laptop filled with pictures of the sky and my hopes high. Did we see it? Did we detect this tiny dip which told us that Namaka disappeared? I think so. I have a plane ride from London to Los Angeles tomorrow to look at the data more closely and convince myself what might or might not be there. But I think so. If we didn’t detect anything it’s bad news. Perhaps our predictions are off, or it’s just too small of a blip for us to ever really see. But if we did detect it then our work is really just begun. Turning that little blip in the sky into concrete information about Haumea and Namaka will take a lot longer than tomorrow’s plane ride. There will be many more such trips around the world to be in precisely the right place when it happens again. There will be detailed computer models of the exact time and depth and duration of the blips. There will be confusion and ambiguity. But that is all in the future. For now I have the simple pleasure of long uninterrupted plane ride where I can stare and poke at the data, catch up on some reading, and think about these dwarf planets. And at the end I get to pick up my daughter from school and she’ll ask “Daddy daddy daddy did you see any stars?” and I’ll tell her that I did, but that the stars here at home are always the very best ones in the sky. Why do flying ice-blocks around the orbit of Pluto get names, yet the magnificent planets we've found orbiting other stars get boring catalogue numbers with a 'b' or 'c' appended? Umm. That sounded a bit harsh on your chosen field. Can I append a 'smiley'? I don't know why the extra solar guys don't get names. Seems like a good idea to me. It's more interesting than HD209457A, for sure. Perhaps because stars seldom get names, very little is known about the orbits of most of these planets, and little is known about the properties of the exo-planets. Of course very little is also known about the dwarf planets. I suspect on a psychological level there is the seeing is believing since most of the exo-planets are inferred vs photographed. I also suspect that they do not want to name an object without knowing if it is more of a Super Earth candidate or a run-of-the-mill Neptune. Keep in mind that I don't know if any of this is true, it is just my best wild guess. I suspect the reason for keeping the exo-planets nameless is because there could be thousands of them known in the near future and they are running out of mythological names - if this is the case I've got an idea - why not do as the writers do, make up cool names from scratch - examples from writers of novels and games include: Tatooine (Star Wars), and Veldin (Ratchet and Clank). Writers always seem to find great planet names, why not honor this tendency in the naming of exoplanets, sure beats those license plate numbers - and besides, the public would eat it up, especially if they are allowed to participate in the naming. Now if only the IAU would approve. and I can see that the observation from the Canary Islands will give a bit of a "stereoscopic" approach to this latest set of data, presuming you also got good data from India and Kazhakstan (or whateverStan [?]). As far as extrasolar names, so far the only good one I can think of is Lilliput and Brobdinag from Gulliver's Travels, this would be for an Earthlike moon of a giant planet. Kepler should be able to see this, if it exists. I suppose that if I were to lobby in favor of using names from science fiction, that would mean the only way I could ever name an extrasolar planet would be to write Science Fiction!